The Triton submarine lives on. What was once a radar picket nuclear submarine used by the US Navy in 1960, has morphed into the hottest superyacht toy on the market today. 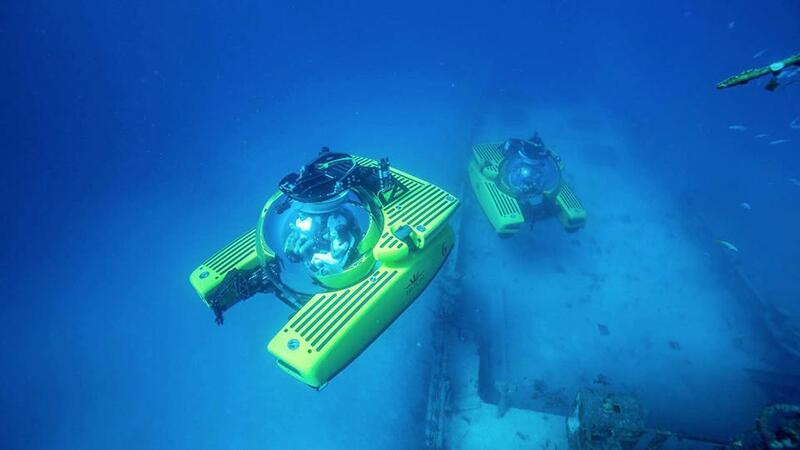 That year, the USS TRITON was the first vessel to complete a subaquatic circumnavigation of the world, and now yacht owners and charter guests alike can have a small taste of that victory. Walk into any boat show, and you will immediately notice a crowd of people gathered around the space-age looking personal submarine on display. It’s literally a show-stopper. Not only does the exterior design command attention, the intricate interior and its inner workings are astounding. 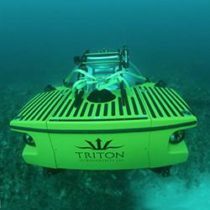 One of the most popular ones on the market today, the Triton submarine, has made a big splash since its debut, and its technological capabilities have only soared since. 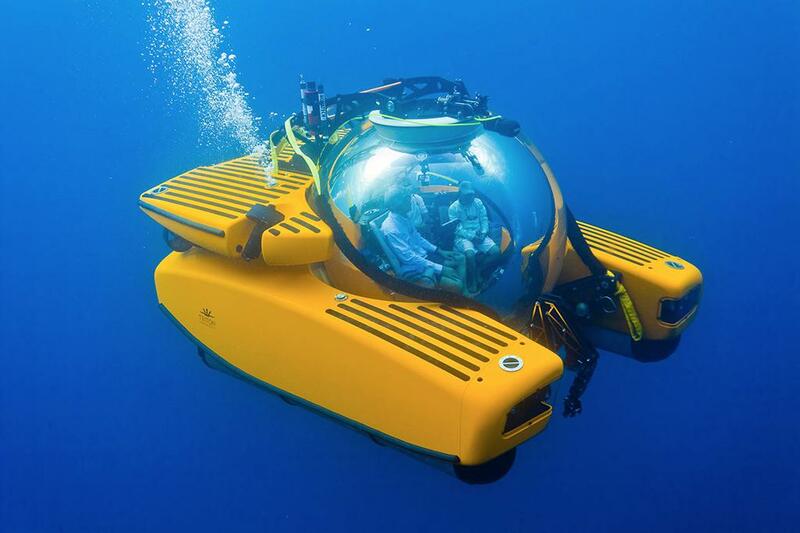 As one of the trendiest yacht water toys on the market today, the striking submersible is a must-have among the superyacht set. Other personal subs such as the shark-like Seabreacher X are fun, while the Scubster Pedal Sub gives you a workout while you explore the ocean at up to 6mph. 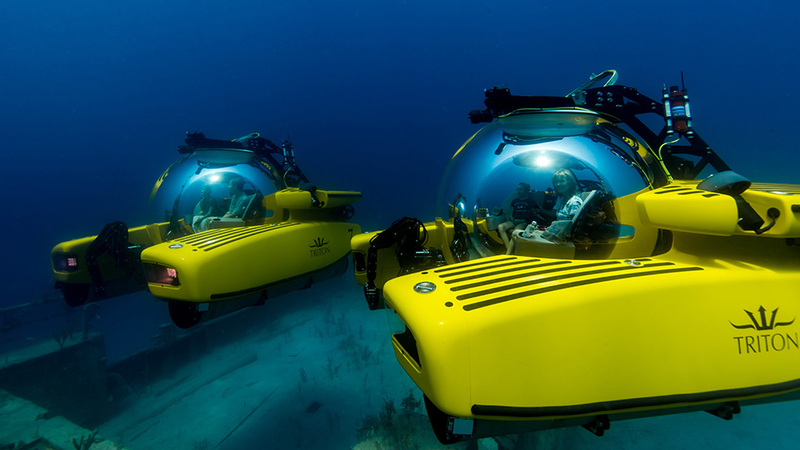 With the Triton submarine, users can now dive deep – as far as a mile below – and explore shipwrecks, see how underwater life lives, and get up close to the action while safely remaining at surface pressure. 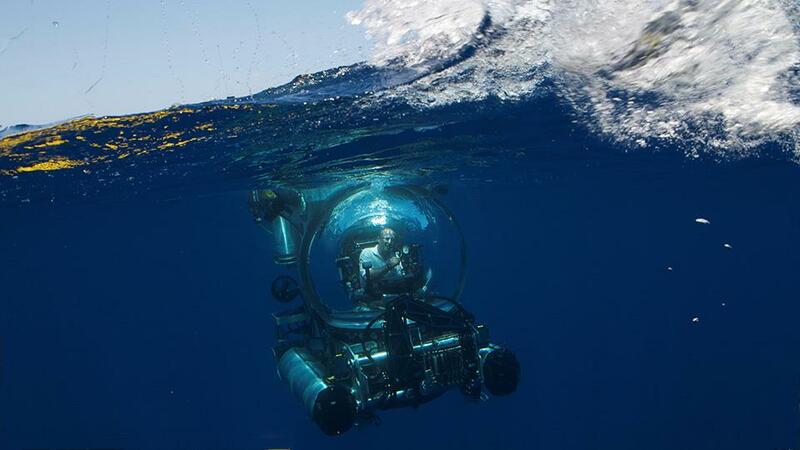 Traveling at around 3 knots, the Triton submarine takes about an hour to reach maximum depth. Take the personal expedition of your life, and watch the colorful fish glisten in the underwater LED lights. Sea life has never looked more surreal from the vantage point of its transparent encapsulation. 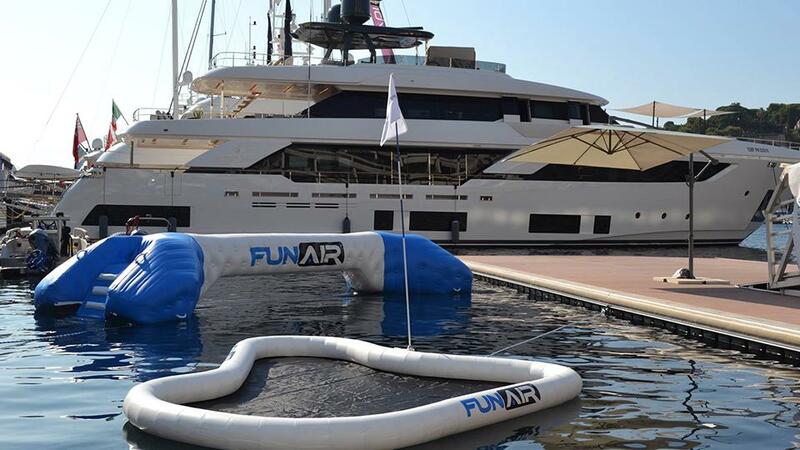 If a submersible is not your idea of a pleasure trip, then perhaps inflatable yacht toys are something for you. 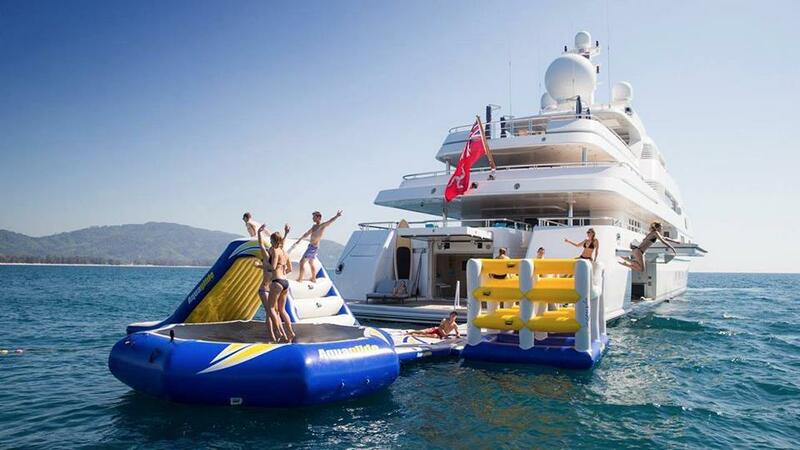 There are a slew of water toys such as the yacht water slide that has recently gained tremendous popularity. Another option for family charters would be the inflatable water trampoline, where guests and kids can expend their energy jumping, diving and cannonballing into the water. The yachting experts at Merle Wood & Associates are well-versed in superyacht sales, marketing, charters, and trends, which makes their clientele the most knowledgeable and prepared yacht owners and charterers in the market today. Many of our yacht specialists are former captains and crew themselves. Because of this, they have access to the most mega yachts, some of which are not publicly for sale or charter – creating an experience uniquely tailored to exceed every expectation.